Manchester City have been crowned Premier League champions for the 2017-18 campaign courtesy of Manchester United’s 1-0 home defeat to West Bromwich Albion on Sunday afternoon. United entered the match off the back of six straight Premier League wins, but a 73rd-minute Jay Rodriguez effort secured all the points for the league’s bottom club as Old Trafford was left stunned. Below are four talking points from the clash in Manchester. Some expected United to blow the league’s bottom team West Brom away in the first half of the match, but that was simply not the case. The home side had 68% of the ball in the opening 45 minutes, although they managed just two attempts on target through Alexis Sanchez and Romelu Lukaku. Granted, the referee missed a clear spot kick when Ander Herrera tumbled under a challenge from Baggies defender Craig Dawson, but the entertainment value was certainly missing as West Brom held firm in a defensive area. Jesse Lingard replaced Herrera at the interval as the hosts switched from a 4-3-3 formation to a 4-2-3-1, and that did bring a slight change in tempo. Anthony Martial was next off the United bench just before the hour mark, and it was Paul Pogba that departed following an ineffective 58 minutes of work. Lukaku had a super chance to send the home side ahead in the 66th minute when he met a cross from the left, but Ben Foster was on hand to make the save. Old Trafford was left stunned when Rodriguez nodded home from close range, and there was no comeback in the latter stages as West Brom held firm. City boss Pep Guardiola was supposedly on the golf course this afternoon, but he would have certainly been keeping an eye on a result which has ultimately confirmed the Citizens as Premier League champions. Lukaku, Sanchez, Lingard, Anthony Martial and Marcus Rashford were all on the pitch at the final whistle. United had started in a 4-3-3, but Paul Pogba and Herrera were both taken off following poor performances. Nemanja Matic has been impressive for the Red Devils this season, but Pogba was unable to build on his second-half showing against City as United’s midfield problems were shown once again. At least one new player in that area of the field must arrive this summer if things are to improve next term. Scott McTominay has made huge strides forward this season, but the Scotland international is not ready to be a certain starter in the United midfield, while it is extremely unlikely that Marouane Fellaini will be at the club next term. Michael Carrick’s retirement, meanwhile, further demonstrates the point that Jose Mourinho must prioritise a new central midfielder this summer. There are of course periods of certain matches where team shape is not too important, but Juan Mata sitting alongside Matic did not work in the latter stages as West Brom defended on the edge of their own box to deal with the amount of players that the home side had pushed forward. If 4-3-3 is to be the formation next term, Mourinho needs to boost the quality in that area of the field. Last weekend’s 3-2 win at the Etihad Stadium was huge for United for a number of reasons. Not only did it show City’s weaknesses, it would have left Mourinho feeling pretty good about his team’s chances of challenging next season. 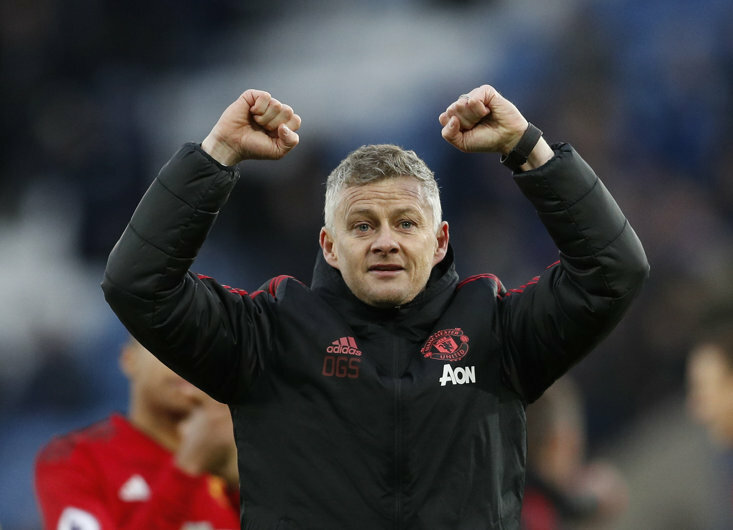 The United boss has faced plenty of criticism throughout the 2017-18 campaign, but the fact of the matter is that United are still seven points better off than they were at this stage of last season. 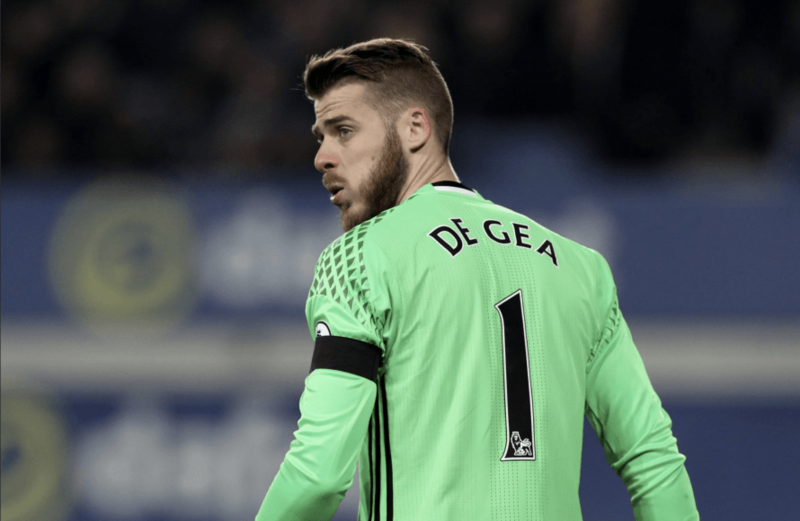 The 20-time English champions are making progress, and while Tottenham Hotspur and Liverpool have been widely lauded this season, it is United that currently sit second in the Premier League table. Investment will certainly be needed in this summer’s transfer window, with at least one new midfielder required, as discussed above. Mourinho must also boost his options in the full-back positions, particularly if Luke Shaw is shown the exit. 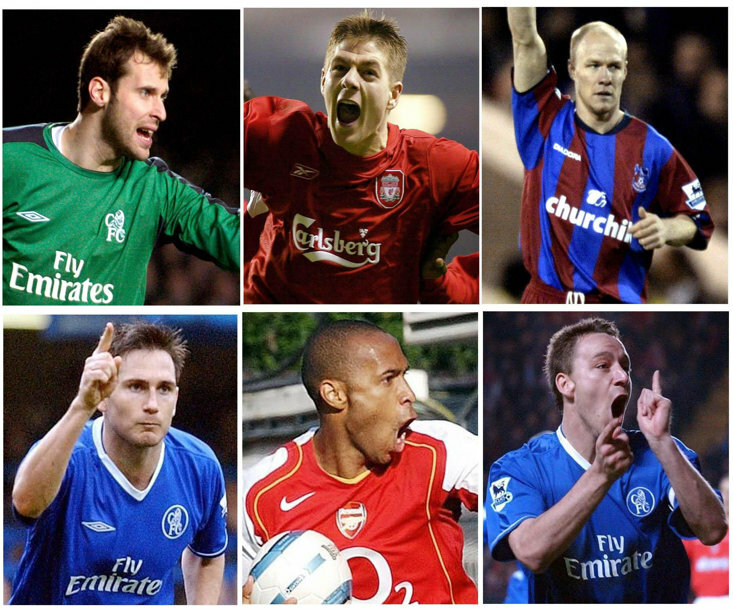 There will be more money to spend, but the main components of a team capable of challenging City next season are there. Despite the disappointment of what happened in the Champions League and indeed against West Brom this afternoon, this is the strongest United have been since Sir Alex Ferguson left the club. Indeed, a total of 71 points represents the most the Red Devils have managed across a single season since Ferguson left the club at the end of the 2012-13 campaign. Next up is a trip to Bournemouth in the Premier League on Wednesday night, before the small matter of an FA Cup semi-final against Tottenham Hotspur at Wembley next weekend. Second position in the league and an FA Cup trophy would represent progress for the 20-time English champions, but the true test will come next term. West Brom have not been mathematically relegated from the Premier League, but there is no getting away from the fact that only a minor miracle will see the Baggies survive in the top flight for another season. Indeed, they are currently nine points off the safety of 17th spot with just four games left. The Baggies have been present in each of the last seven Premier League campaigns, but will be playing Championship football next season unless something dramatic occurs in the final weeks. The likes of Jonny Evans, Salomon Rondon and Dawson will all leave the club this summer, but West Brom will be confident of keeping the bulk of their squad together ahead of the 2018-19 Championship campaign. 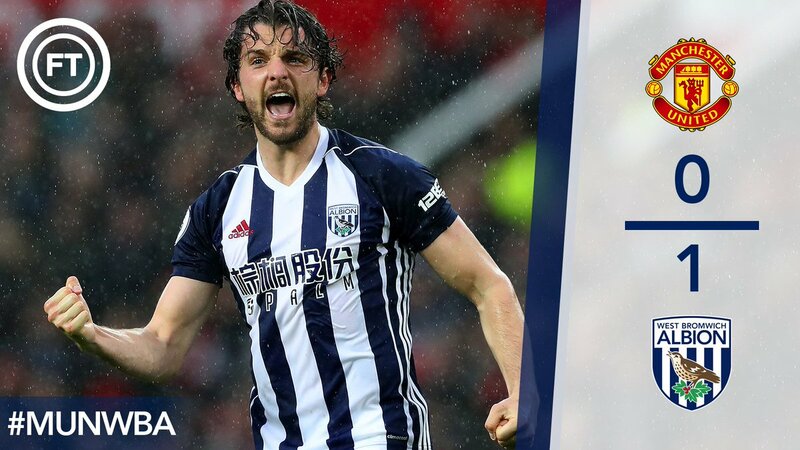 After being relegated from the top flight at the end of the 2008-09 season, West Brom bounced straight back, and they will be hopeful of achieving that once again. Alan Pardew was brought in with the view to stopping the slide, but the controversial manager only lasted four months. First-team coach Darren Moore led the team for the second successive Premier League match, and he named an unchanged XI from the one that started the 1-1 draw with Swansea City last weekend. The visitors actually had the game’s first clear chance in the 11th minute when Jake Livermore found space inside the United box, but David de Gea was on hand to make a terrific save, before Rondon headed over two minutes later. West Brom gave an extremely good account of themselves in the first 45 minutes, and also started the second half in confident fashion as Rondon, whose presence caused United a lot of problems, continued to make his mark. The Baggies incredibly took the lead in the 73rd minute when Rodriguez nodded home from close range, and it could be argued that they deserved it due to their willingness to commit players forward. 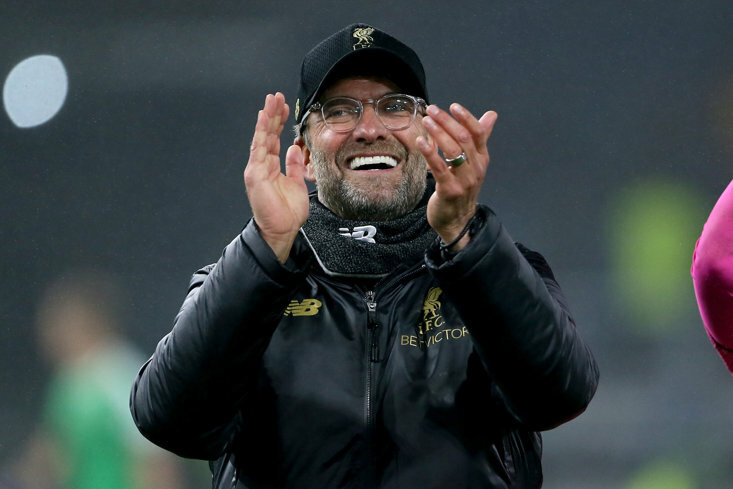 It might be a case of too little, too late, but it was still a huge victory for a team that will welcome Liverpool to the Hawthorns next weekend.